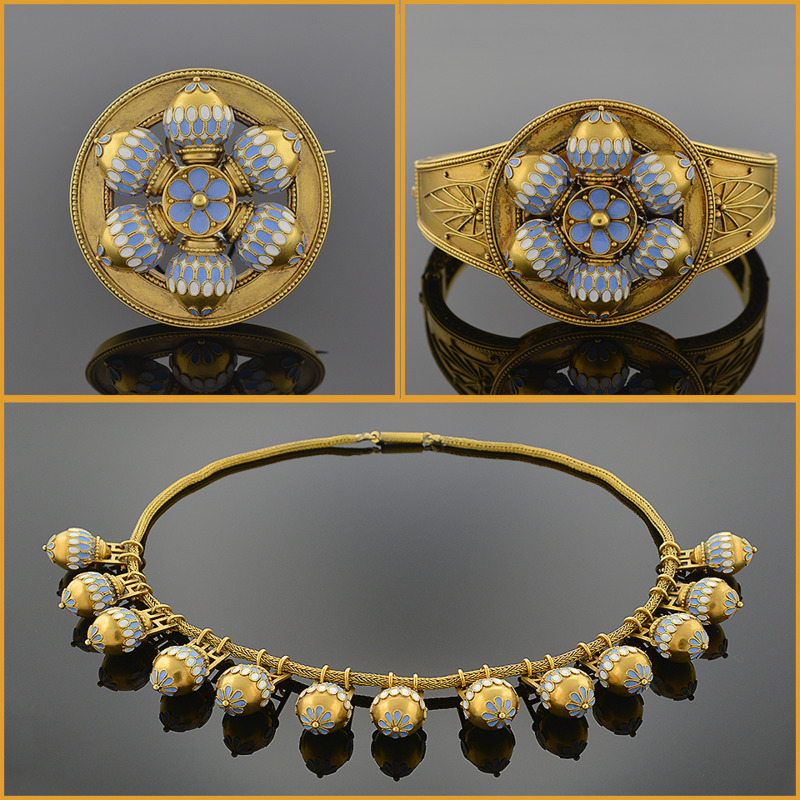 Comprising a necklace, a bangle bracelet, and a brooch, decorated with floral medallions and smaller medallion fringe featuring pale blue and white cloisonne enamel, loop in loop chain, and fine beadwork. Signed "C.G." with original fitted leather case.